Artist's impression of Odyssey Residences. 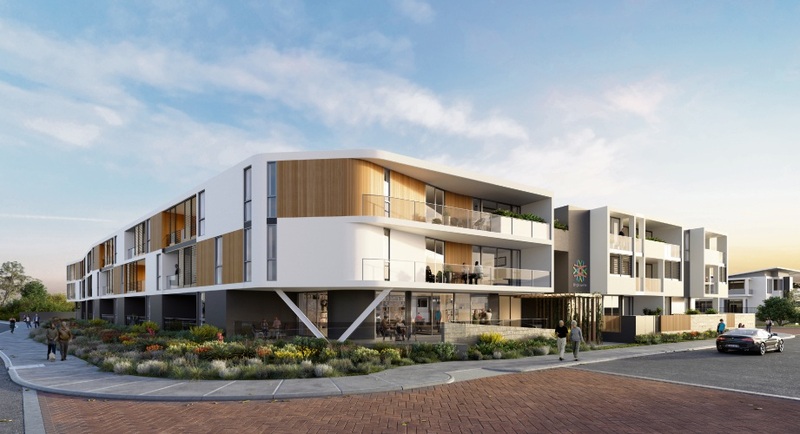 BRIGHTWATER Care Group will launch its Odyssey Residences at Beaumaris Beach this weekend. 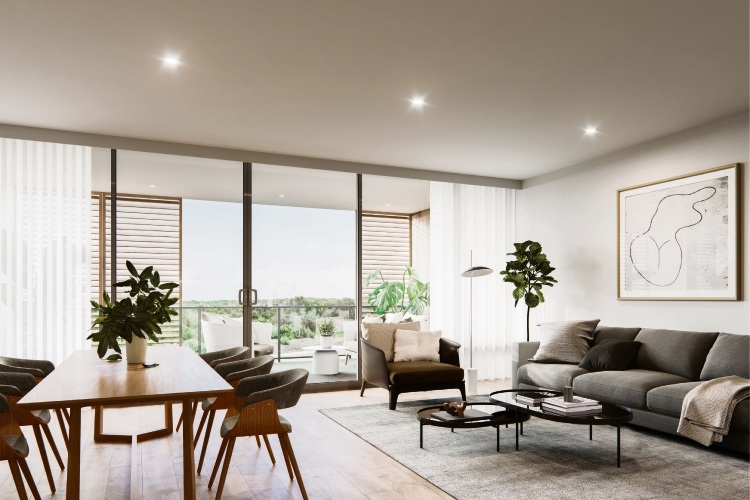 Potential buyers will be able to visit the display suite and sales office on the corner of O’Mara Boulevard and Santos Vista, Iluka, on Saturday and Sunday from 1pm to 5pm. Seniors Own Real Estate are the selling agents and managing director Mike Graebner said the launch weekend was expected to draw a big crowd. “We’ve had more than 550 registrations of interest lodged via the website since the development was first advertised in August last year, and the feedback we’ve had on the floor plans, interior design and the communal amenities for residents and their guests has been very, very positive,” he said. 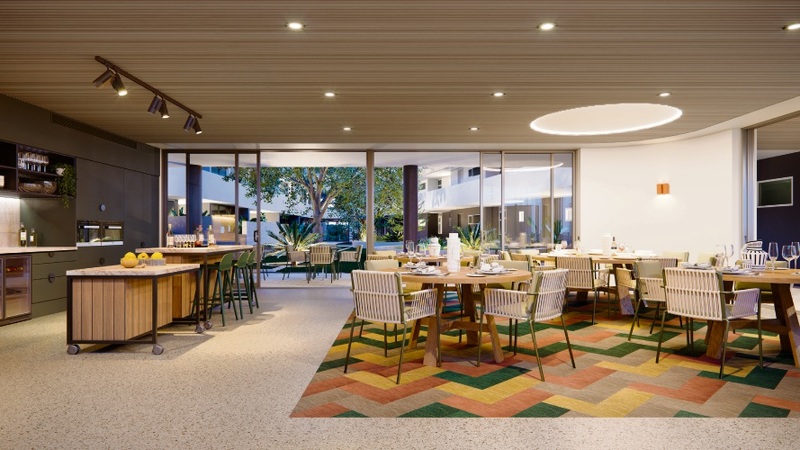 The 58-residence project will be built at 32 Fernando Parkway, Iluka, and is the centrepiece of a proposed multi-generational lifestyle precinct and town centre with shops and cafes, and accommodation for a variety of different life stages, all just 300m from the beach. Each apartment will be finished to a high specification with engineered stone benchtops, dishwasher, clothes dryer, reverse-cycle airconditioning and contemporary window treatments. All the homes have been certified with the Gold Livable Housing Design, giving buyers confidence that their new home will be easy to access, navigate and live in, and cost-effective to adapt should circumstances change. Artist’s impression of The Picnic Rug at Odyssey Residences. After the launch weekend, the sales office and display suite will be open 2pm to 4pm on Wednesdays and Sundays. For more information on Odyssey Residences, contact sales agents Caryl Sutrisno and Mr Graebner on 1300 593 109 or visit www.odysseybeaumaris.com.au.